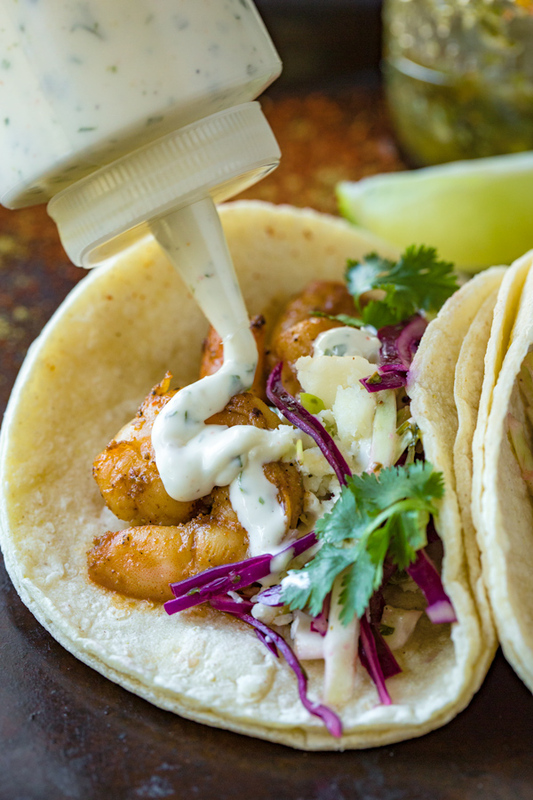 Succulent shrimp, a twist of lime, a drizzle of tequila, and a good bit of spice sure sound like the beginnings of a stellar flavor combination for a shrimp taco recipe. 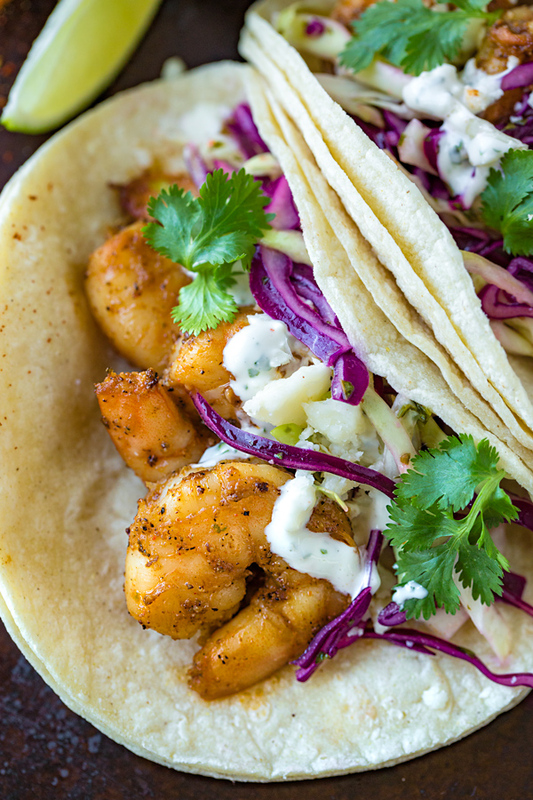 But with the finishing touches of a cool and creamy “awesome” sauce and a crisp chimichurri slaw, these shrimp tacos will blow all others away. Tacos are a favorite food for many of us who love south-of-the-border cuisine. As small as they are, they’re loaded with tons of texture and color, and pack a true punch in the flavor department, no doubt about it. Tacos are the deliciously divine answer to a portable food craving, one that satisfies and awakens the palette, yet isn’t loaded with lots of heavy ingredients. They’re the perfect little trinity of light, healthy and irresistible. 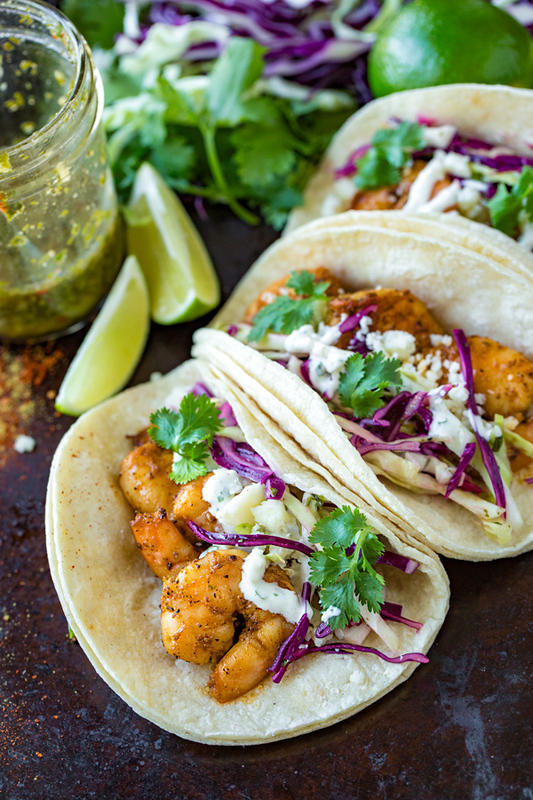 These succulent shrimp tacos with a bit of heat, fresh ingredients, and a sauce that ties it all together are the perfect way to go when you’re craving something zesty. 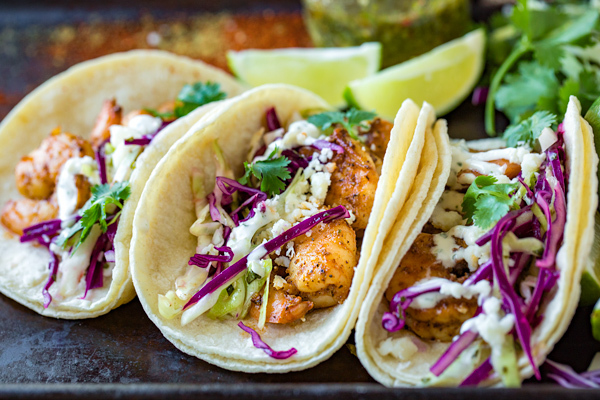 Marinated in lime juice and smoky spices, seared off in a screaming hot cast iron skillet to golden and charred perfection, then deglazed with a good splash of tequila, the shrimp are the star players in these tacos—a delicious alternative to the common beef, chicken, or pork. But when paired with a tangy and cool chimichurri dressed slaw, plus a creamy and delicious garlic-kissed “awesome” sauce drizzle over top of it all, this irresistible combination becomes a complete little taco, and there’s nothing quite like the party you’ll experience in your mouth when you take a bite. It’s what happens when you give shrimp a little tequila-lime twist and a couple of extra zippy ingredients. • Extra flavorful: Marinate the shrimp overnight for extra flavor, or even an hour or two, if you’d like more of a punch. • Get out the ol’ cast iron: A cast iron skillet is excellent for this, as it gets super hot which equals nice, golden and seared shrimp. 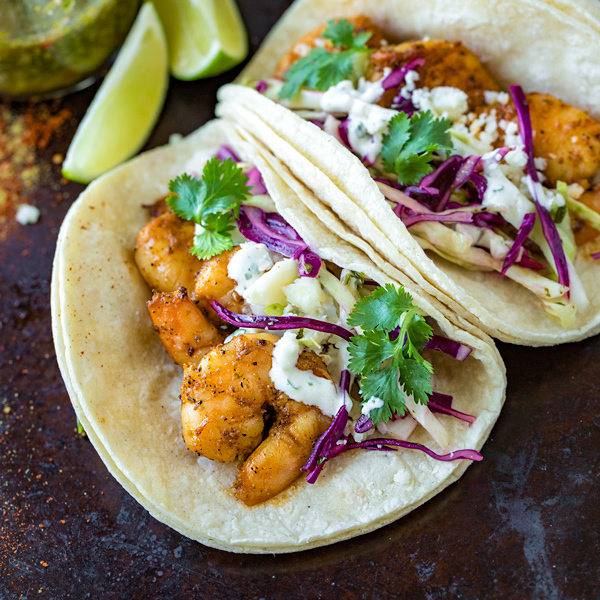 • Deglaze with or without the flame: When you add the tequila in with the shrimp at the last minute, you can turn off the flame to ensure you don’t get a little flare up from the alcohol. The pan will still be very hot and the tequila will reduce/evaporate in moments. • Sans alcohol: Feel free to leave out the tequila altogether if you prefer to go without alcohol. Just skip that step after the shrimp are seared. 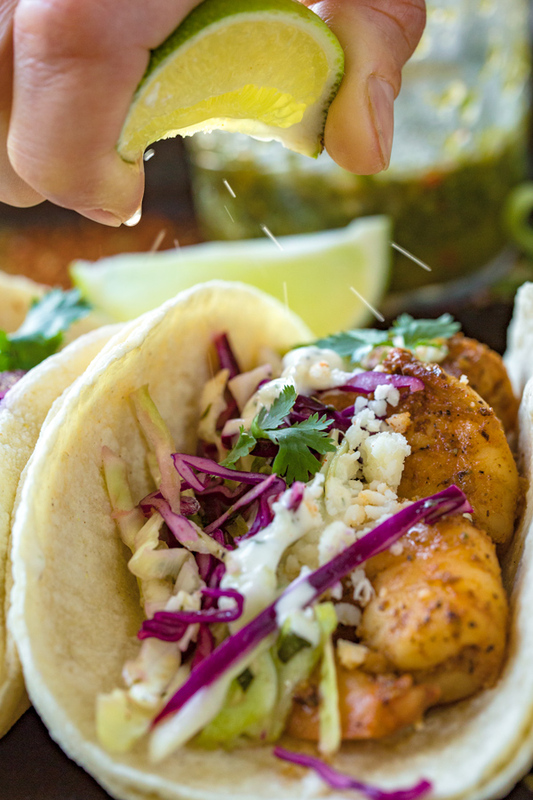 Mildly spicy with a zippy kick, these little shrimp tacos are drizzled in a cool and creamy “awesome” sauce and topped with a crispy and refreshing chimichurri-dressed slaw. -Place the shrimp into a bowl, and add in about 1-2 tablespoons of the oil; next add in a good pinch or two of salt and pepper, plus the cayenne, chili powder, cumin, coriander, garlic, and zest and juice of lime; marinate the shrimp for at least 20 minutes, or overnight, if doing ahead. -Place a large cast-iron or heavy-bottom skillet over high heat, and drizzle in about 3-4 tablespoons of oil; once hot, add in the shrimp in a single layer, and allow to sear and become golden-brown on that first side, about 2-3 minutes; then turn and allow to sear on the second side for another couple of minutes. -Once shrimp is seared/cooked through, add in the tequila and deglaze the pan (you can turn off your flame if this makes you more comfortable as alcohol can flare up), and allow the tequila to completely evaporate; spoon the shrimp onto a plate or bowl to hold. -Assemble your tacos by laying down a couple of tortillas, then adding in a good heap of chimichurri slaw; top with about 3 shrimp, and drizzle some of the “awesome” sauce over top, and sprinkle with some cotija cheese and cilantro to finish. -To make your chimichurri sauce, add all of the ingredients beginning with the minced cilantro leaves up to and including the avocado oil to a small bowl, and whisk together to combine. 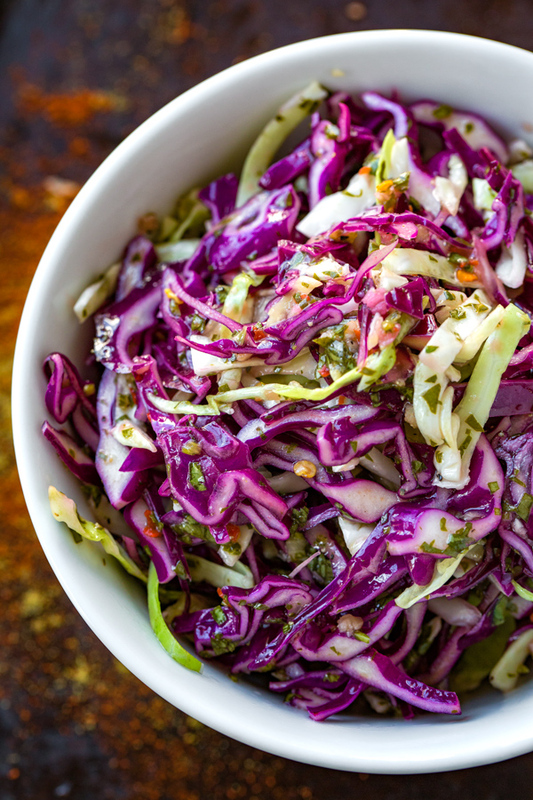 -Add your sliced cabbage to another bowl, and add in the chimichurri sauce, and toss to coat; check to see if more salt/pepper is needed, and keep cold until ready to serve. -In a small bowl, combine all ingredients until blended, and keep cold until ready to serve. Tried these last night and they were a big hit! We will have these again soon. Thanks for this great recipe. Hi Carole, I’m thrilled to read you enjoyed the recipe! 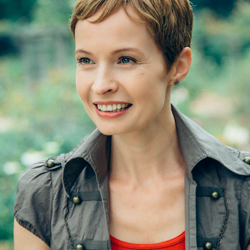 Thanks so much for taking a moment to share your experience with me! I just tried this recipe. It was simply delicious. Minimum effort and maximum satisfaction on a hot summer day. 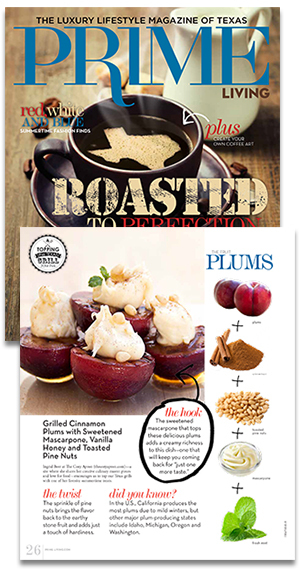 Patricia, thanks so much for commenting on your experience with the recipe! Glad you found it simple yet satisfying!